Solar power is becoming increasingly important as a clean and renewable energy source. But, it is difficult to store and panels cannot be installed everywhere. So, what if we each had a little solar power plant to carry with us, even in remote areas? Israeli start-up Kalisaya had this idea. It has designed a device called the KaliPAK, which will provide renewable energy anywhere. 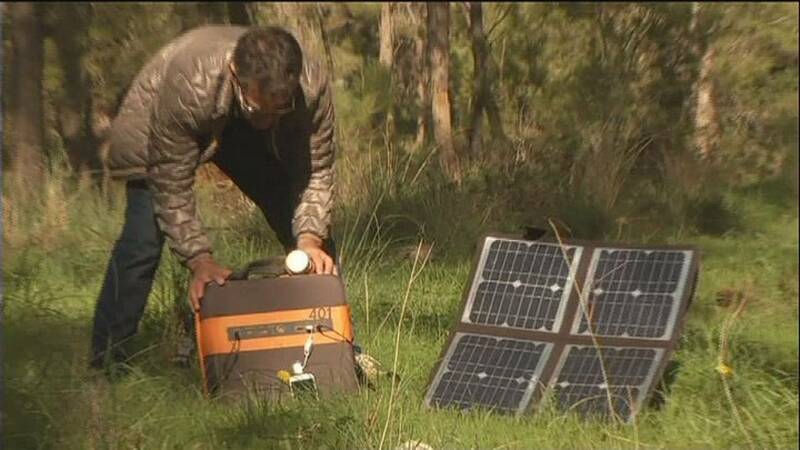 The portable power pack can be charged using solar energy. Its inventor is convinced the KaliPAK can be used in the event of power blackouts caused by anything from natural disasters to overuse of batteries while camping. Kalisaya co-founder Yaron Gissin explained how the KaliPAK works. The device comes with a built-in Bluetooth transmitter designed to connect seamlessly with your smartphone. In the future, developers plan to give the portable unit the capacity to charge from a variety of natural resources, not just the sun. “Next year, we will have a portable wind turbine that will connect to the KaliPAK and will charge it also from the wind,” said Gissin. Kalisaya hopes to launch the KaliPAK in 2015 in retail stores across the United States and eastern Europe. It will range in price from 250 to 750 Euros.